A pastor and friend of mine, Jack Miller, once said he could tell a great deal about a person’s relationship with God by listening to him or her pray. “You can tell if a man or woman is really on speaking terms with God,” he said. My first response was to make a mental note never to pray aloud near Jack again. I can think of nothing great that is also easy. Prayer must be, then, one of the hardest things in the world. To admit that prayer is very hard, however, can be encouraging. If you struggle greatly in this, you are not alone. But the struggle is worth it, as far as I can tell. 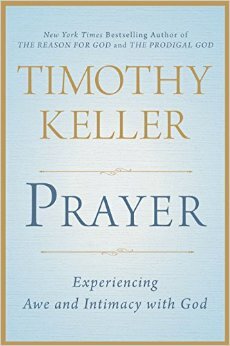 Keller admits that he only made prayer a priority relatively late in his life and ministry—some time around the time that he was diagnosed with cancer. He found, like so many of us pastors, that preaching is easier than praying. He said his wife, Kathy, said something that helped turn him around and motivated him to pray with his wife every evening. Imagine you were diagnosed with such a lethal condition that the doctor told you that you would die within hours unless you took a particular medicine—a pill every night before going to sleep. Imagine that you were told that you could never miss it or you would die. Would you forget? Would you not get around to it some nights? No—it would be so crucial that you wouldn’t forget, you would never miss. Well, if we don’t pray together to God, we’re not going to make it because of all we are facing. I’m certainly not. We have to pray, we can’t let it just slip our minds. Prayer is life-saving medicine for the lethal condition of human sin. 1. Timothy Keller, Prayer: Experiencing Awe and Intimacy with God (New York: Dutton, 2014), 23-4. This entry was posted on	December 4, 2014 at 6:19 pm	and is filed under Uncategorized.